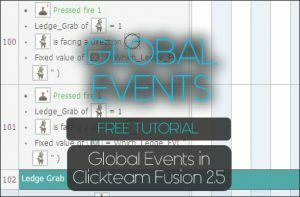 In this video tutorial, I cover some principles you should be sticking to when approaching your game design in Clickteam Fusion 2.5. Knowing how to work with the Fusion 2.5 runtime instead of against it will save you a few headaches as your game or app development gets bigger. 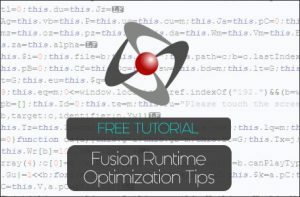 The Fusion 2.5 runtime does a great job at allowing you to make rookie mistakes when it comes to optimizing, it will parse the events anyway but increasing events as with graphics causes more overhead to make your game run. 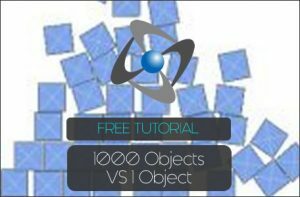 Optimization is key, particularly for mobile and web games where devices of different hardware can make your game seem to run slow when on another device, it runs fast. Work with the Fusion 2.5 runtime and you will go on to make better games and apps with far less headaches and pitfalls to worry about. Feel free to leave some comments on the video itself for feedback.